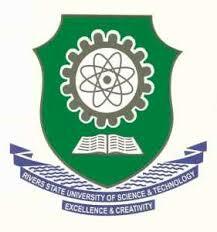 Rivers State University, RSU Sandwich Postgraduate Diploma, Masters & PhD Admission Form, Courses, Entry Requirements and Guidelines, Closing Date for 2018/2019 Academic Session. Applications are invited from interested and suitably qualified candidates for admission into the Postgraduate Diploma, Masters and Ph.D Programme of the Rivers State University, Port Harcourt leading to the award of B.Sc. Degree for the 2018/2019 Academic Session. Downloaded and hard copies completed forms submitted to the Secretary, Postgraduate School, along with photocopies of relevant credentials. The closing date for application is 12 midnight on Friday July 19, 2019. Lecture Commencement Date: Lecture commences on Monday, July 22nd, 2019.